We are creating an extended learning opportunity to 3 and 4 year old kids in our community after regular school hours. 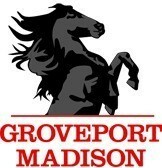 We are tied to a school district with a horse as the mascot and with the school colors of red and black. The horse's name is Cruiser, a stallion. Two communities are coming together to create one district. It is a very diverse population that makes up our community. What could we call this program to connect to our kids and parents in the community?